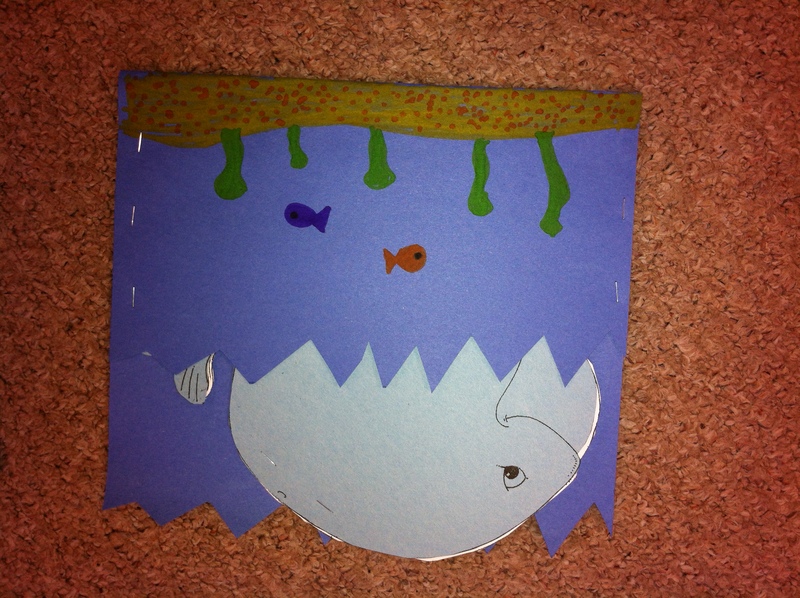 Ocean | Mrs. Anton's Class! 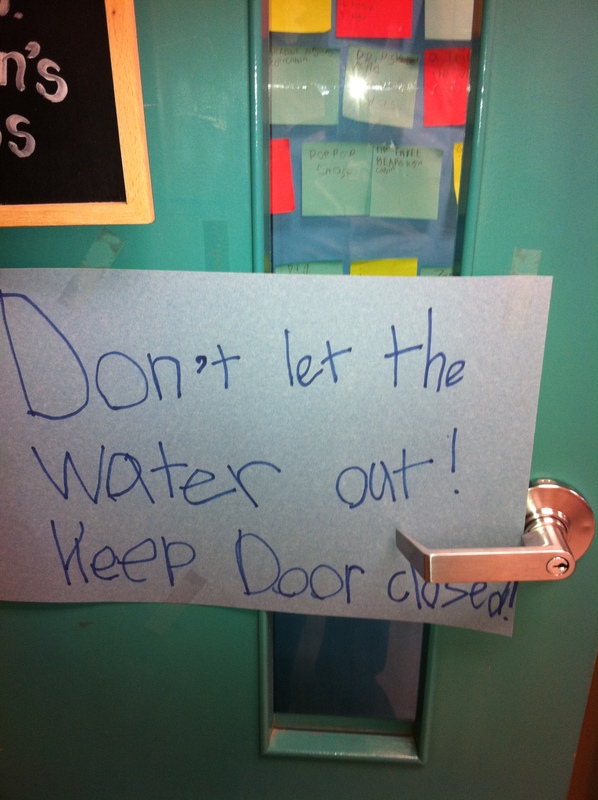 Don’t Let the Water Out! 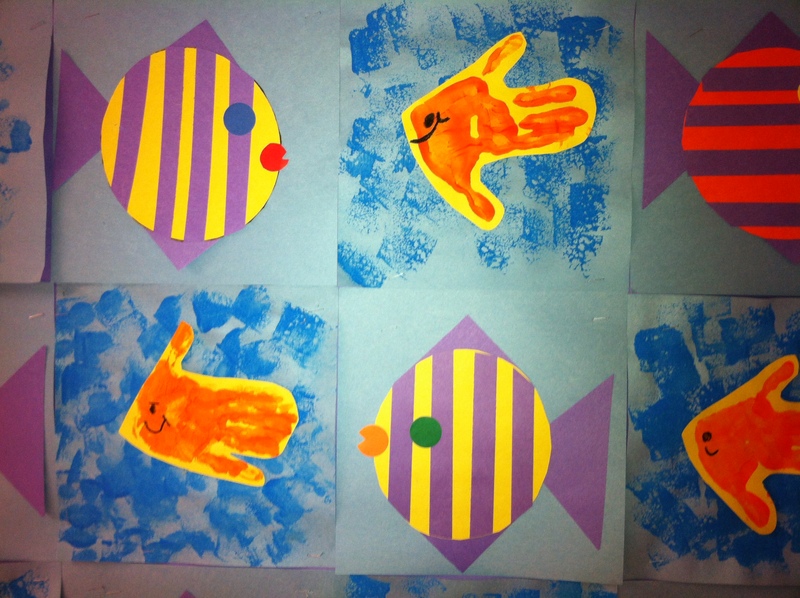 Today we had a lot of fun doing “fishy” things! 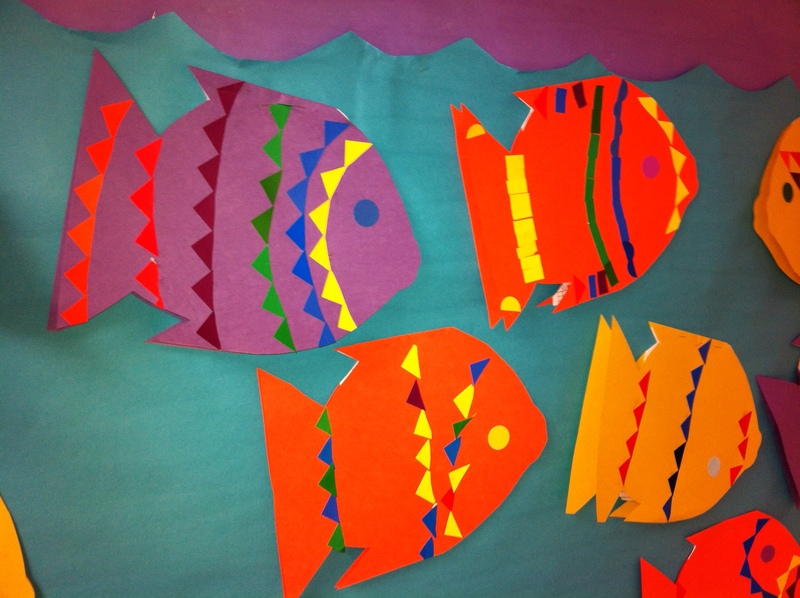 We have been working on a seashore/ocean theme and today we put together our Rainbow Fish. 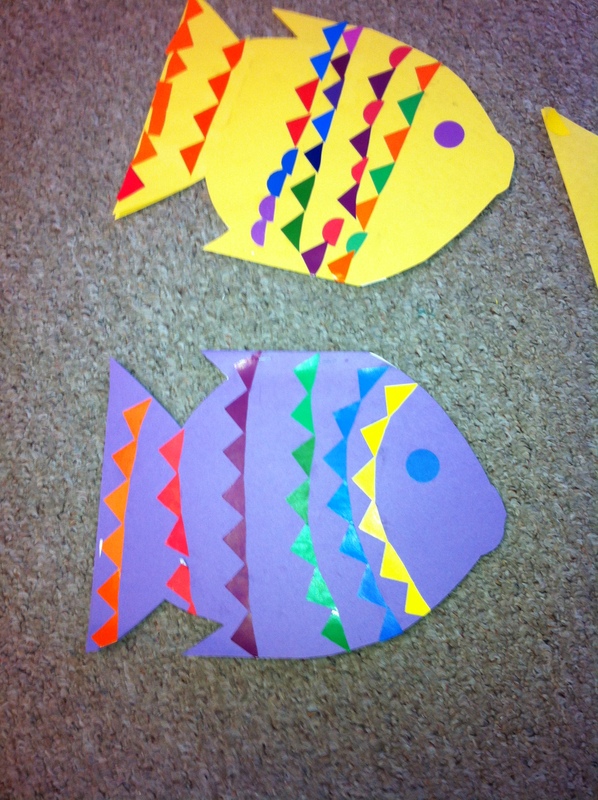 The children worked on symmetrical printmaking on a fish shape and today we stuffed the fish and added the shiny scales to make our Rainbow fish. 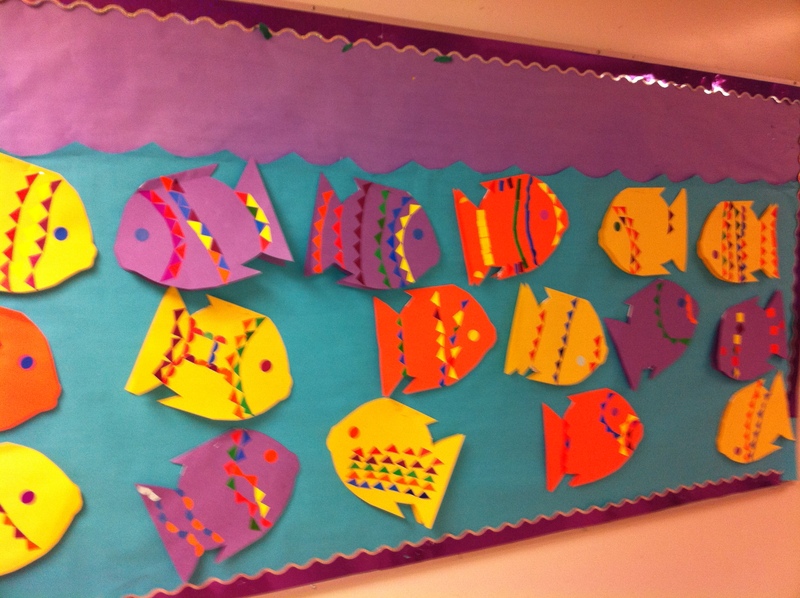 We watched the video based on the cool book called The Rainbow Fish. 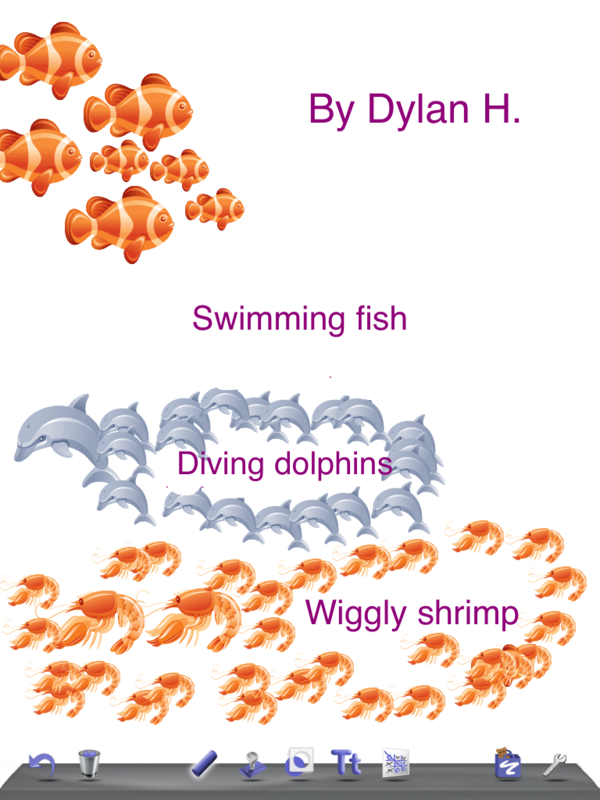 It is a great book about sharing. 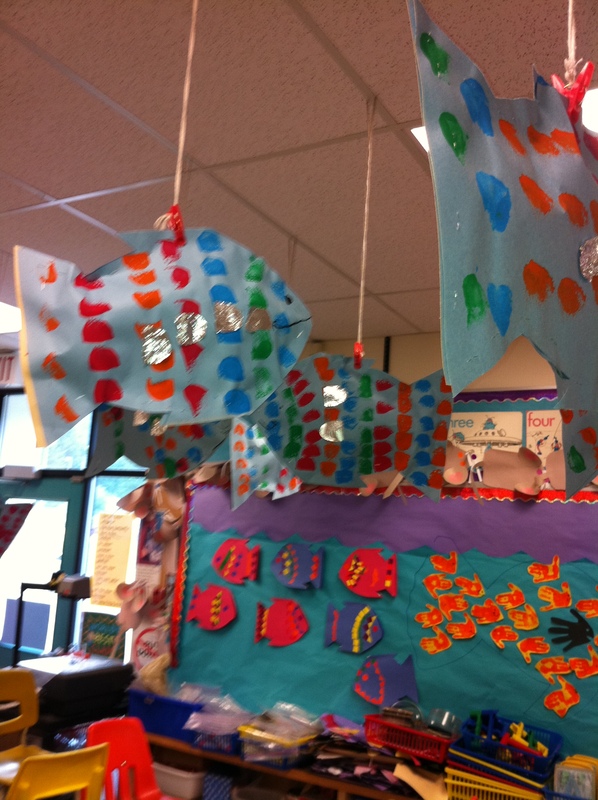 We hung our fish from the ceiling and of course the room is now filled with water for our swimming fish! Hence the signs on both of our doors! 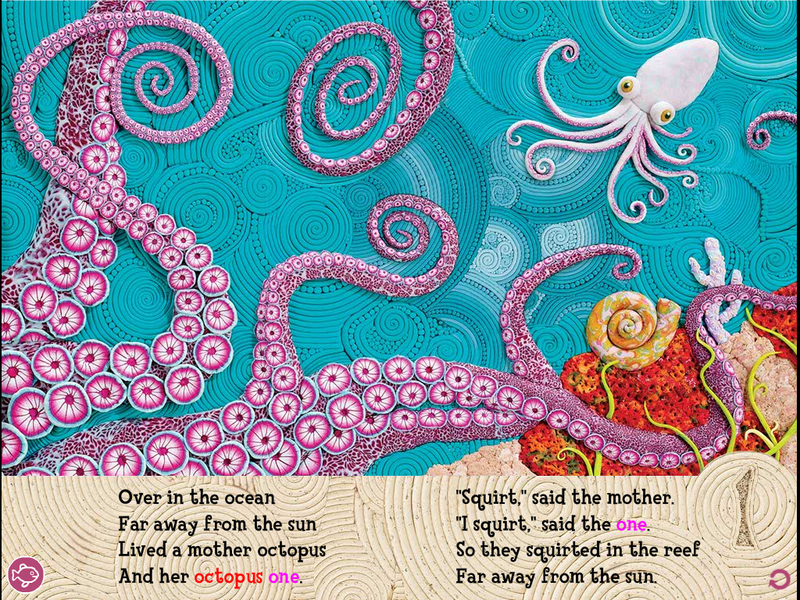 We also had some fun with the iPad writing a little poem about the ocean using Doodle Buddy. 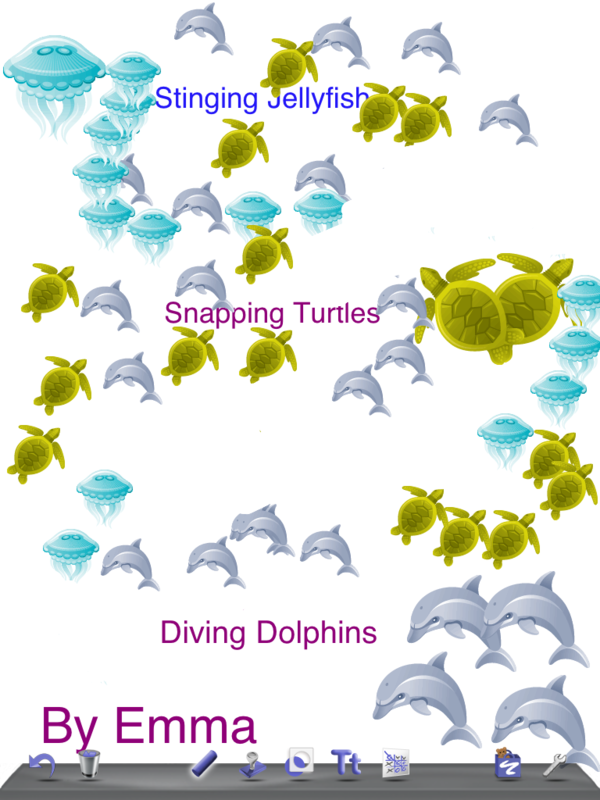 First, we brainstormed words to go with the ocean stamps in Doodle Buddy. 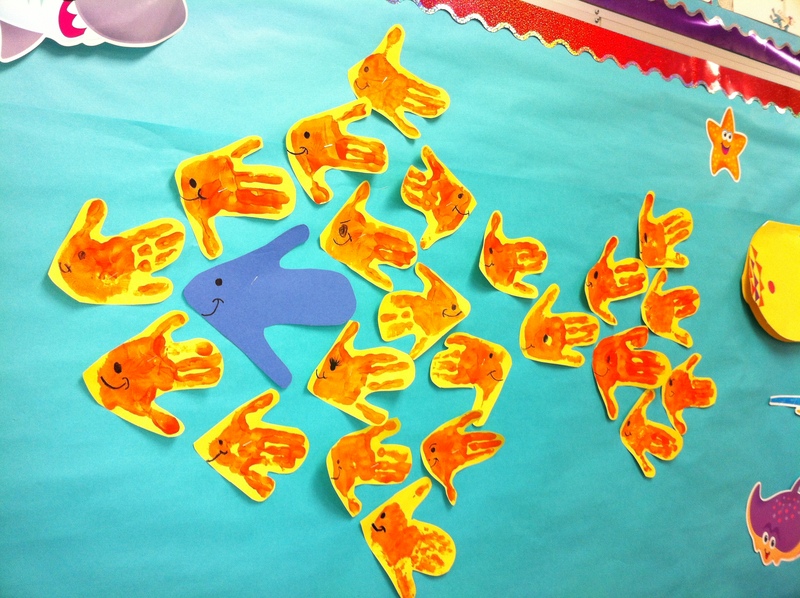 Then the children chose three stamps to make a short poem. 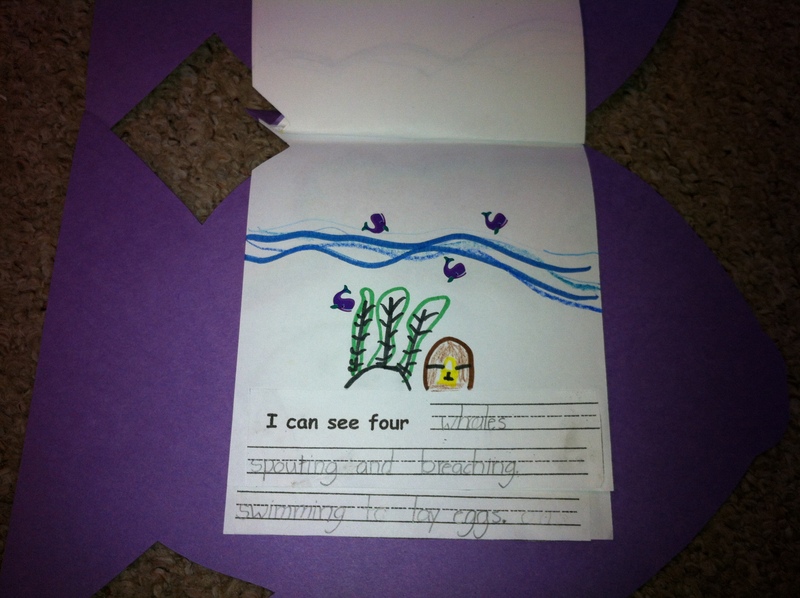 Using the text boxes they put in their choices of ocean animals with a describing word. 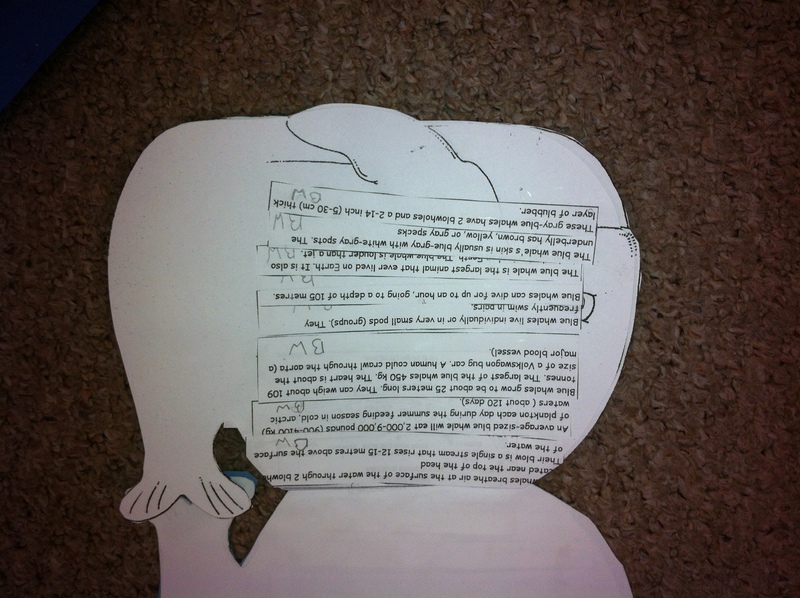 Then they illustrated their poem using the stamps. 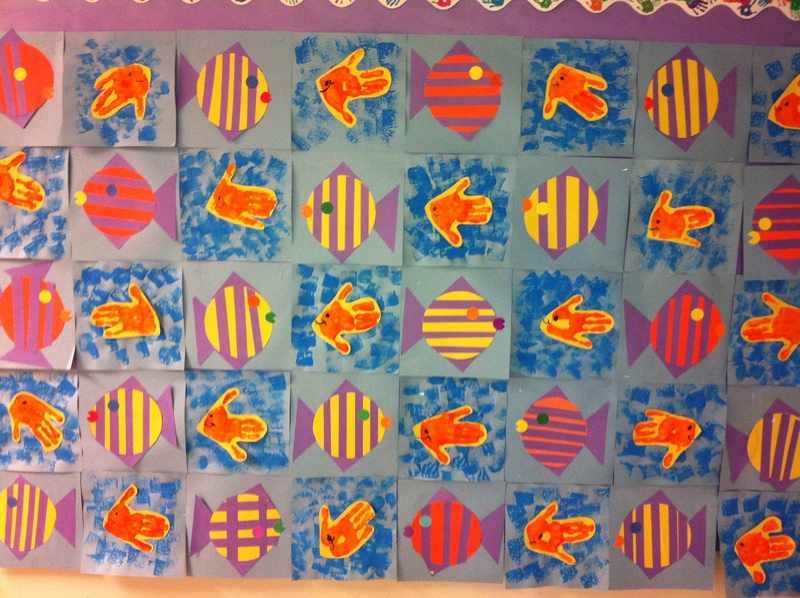 I found this cool idea on a really neat blog called ilive2learnilove2grow. I even like the name of the blog! 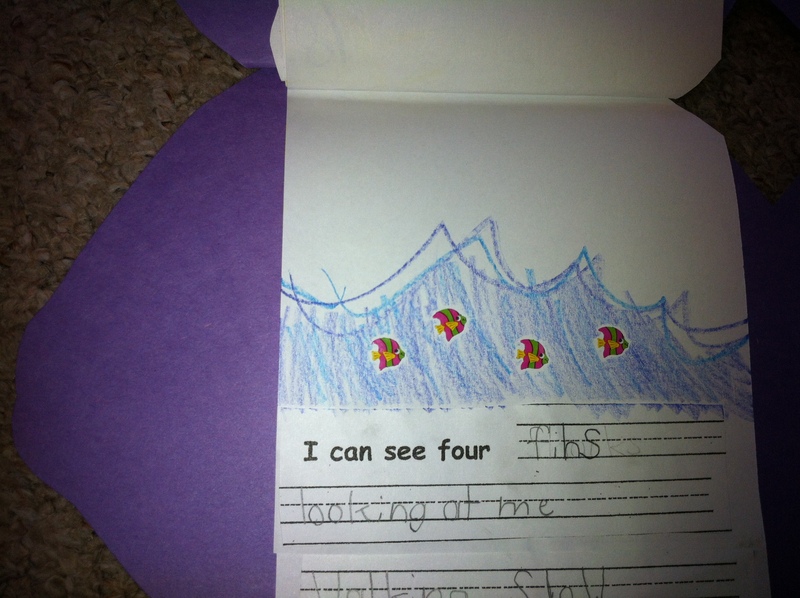 Sounds like a great way to look at learning. Yesterday I added a new link to the WIKI. 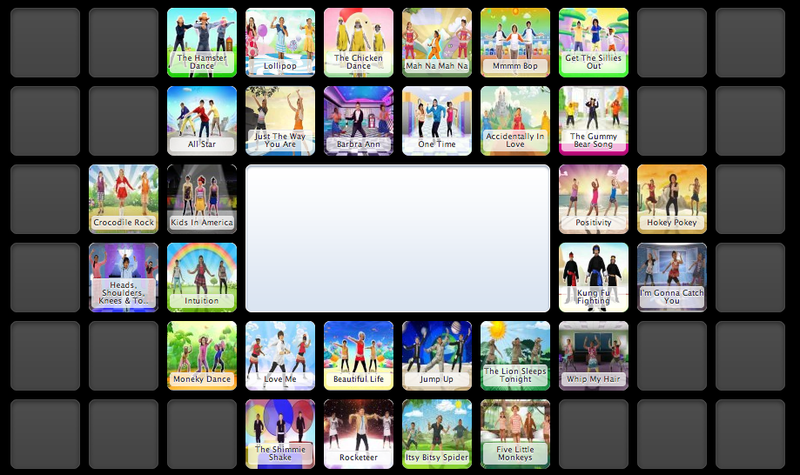 We now have access to the site TumbleBooks. 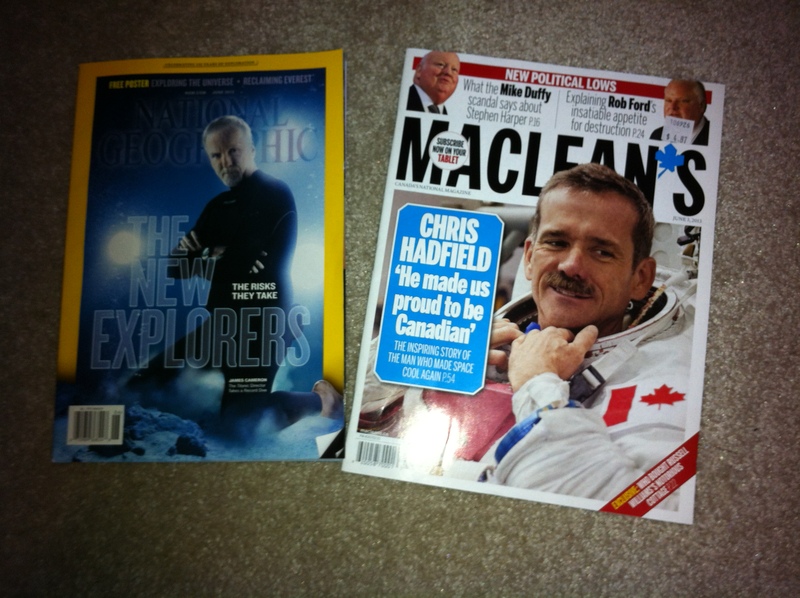 It is a really awesome site of excellent reading material. Make sure to check it out!